On the lookout for the best hardwood floor refinishing Golden CO has to offer? With Fabulous Floors, you don’t need to look anymore! When it comes to the wood floor, the last thing you want to hear is something “sticking”. That’s not true when it comes to your wood floor’s quality and shine, though! We offer years of experience, combined with a process that is hassle-free! You’ll love the new look of your refinished home. When people ask what the most important thing is, price or quality may come to mind. While those are important, our priority is customer service. Our goal is to provide a service that stands out from the rest. Because of that, we have only the best individuals in your home with all the proper knowledge necessary to answer questions and get you the right service specific to your individual home. You can trust us when it comes to wood floor refinishing in Golden. Fabulous Floors has worked for years in the industry, so you don’t have to! 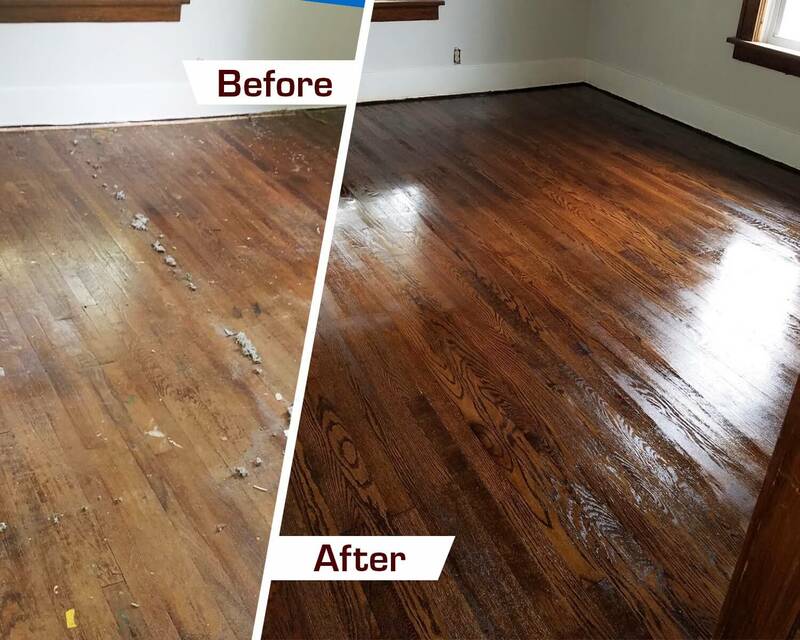 While it’s true you could tackle a wood floor refinishing project on your home, it can lead to odors, messes, and headaches. Many DIY projects draw out longer than expected. We’ll turn the project into a dream, not a nightmare, with our simple 4-step process. First, our professionals go to your home, taking a look at your individual wood floor, while consulting preferred options with you (and taking your specifications into account). We then use our innovative sanding equipment to remove day-to-day scratches, bumps, and dents. Third, you get to choose from our wide variety of colors to find the perfect fit for your home. We then put down that color of stain on your wood floor. Finally, we seal the stain with our polyurethane finish. This protects the color and makes it shine at the same time!